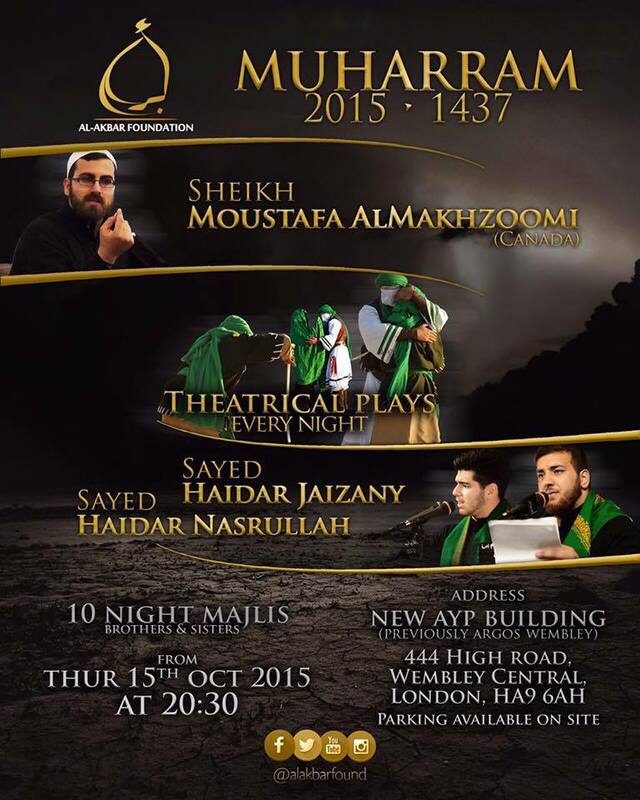 Al-Akbar Foundation is honoured to present its 10 night Muharram majlis for this year. With guest lecturer from Canada: [ Sheikh Moustafa al-Makhzoomi ] and eulogy reciters [ Sayed Haidar Nasrullah ] & [ Sayed Haidar Jaizany ]. The majlis will *feature* short theatrical plays between the lecture and eulogies iA. VENUE: AYP Building in Wembley Central (Argos Wembley Previously). Address: 444 High Road, Wembley Central, London HA9 6AH. Brothers & Sisters are welcome.